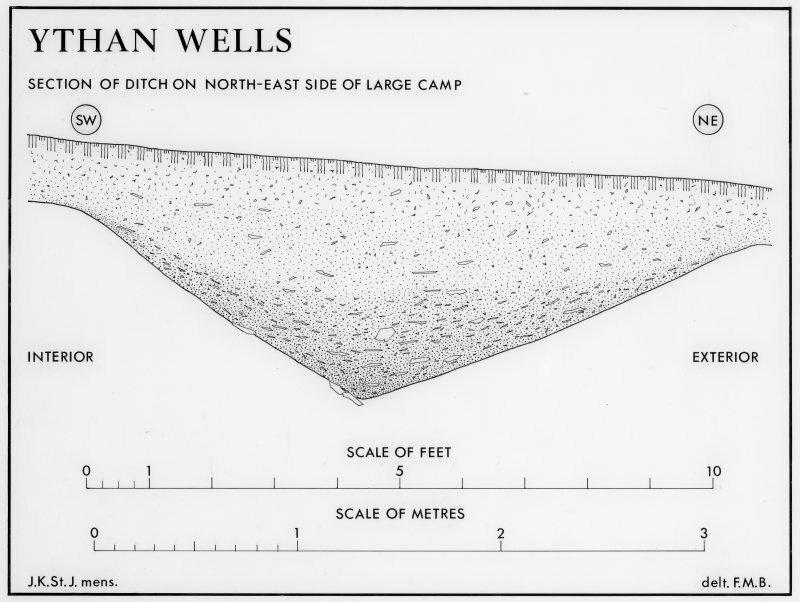 Ythan Wells Roman temporary camps. 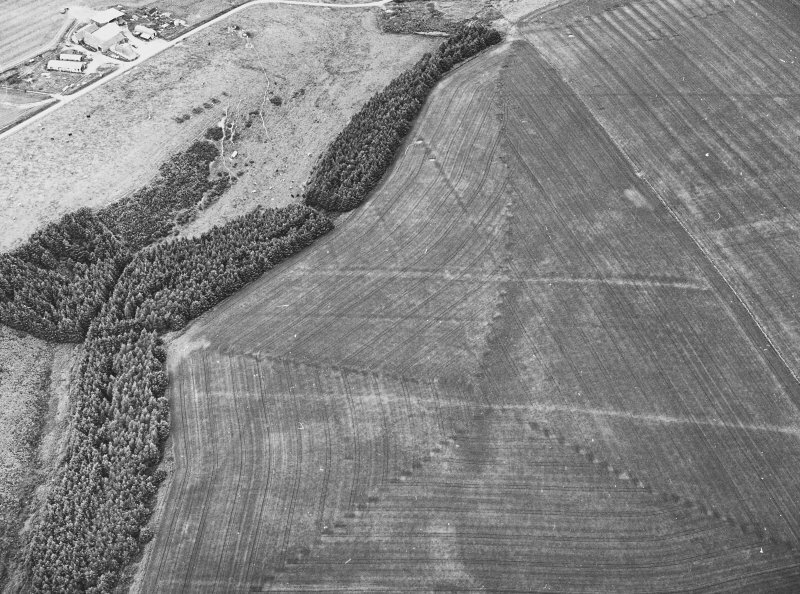 Section of ditch on NE side of large camp. 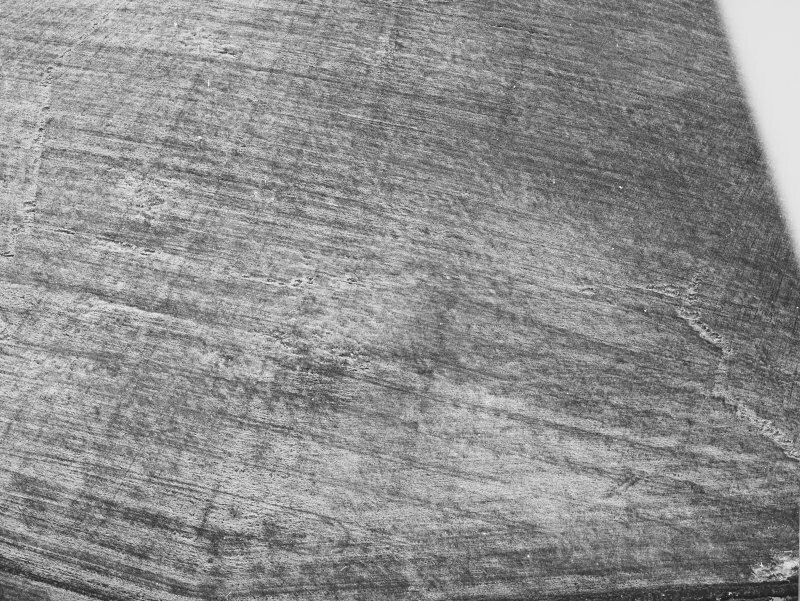 Oblique aerial view centred on the soil marks of the Roman Temporary Camp taken from the ESE. 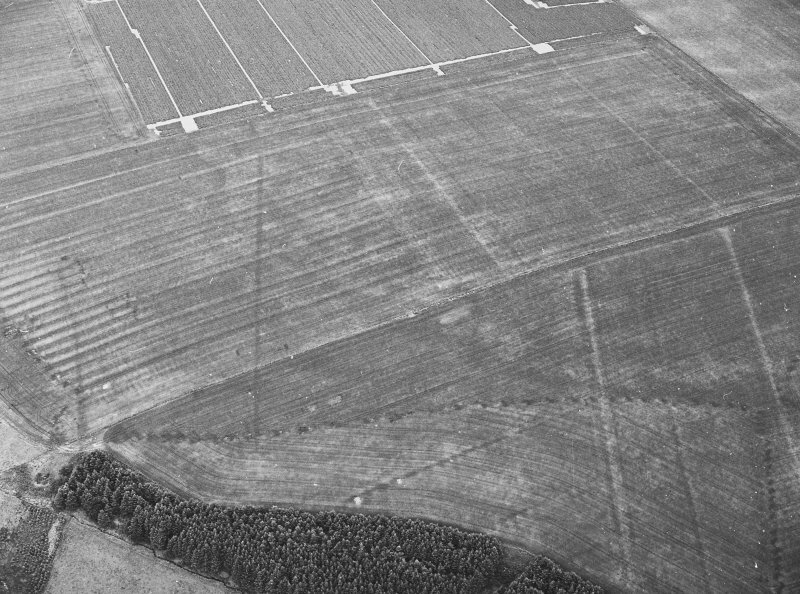 Oblique aerial view centred on the soil marks of the Roman Temporary Camp taken from the NNE. 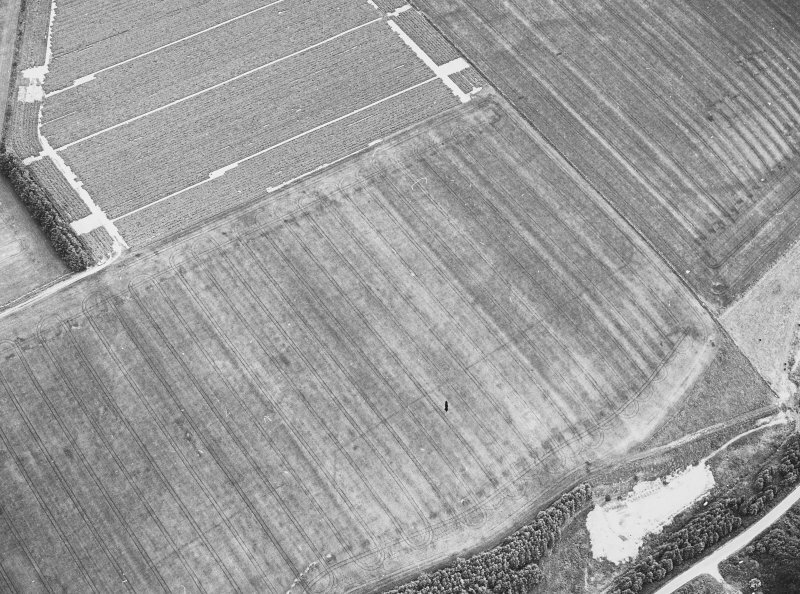 Oblique aerial view centred on the soil marks of the Roman Temporary Camp taken from the ENE. 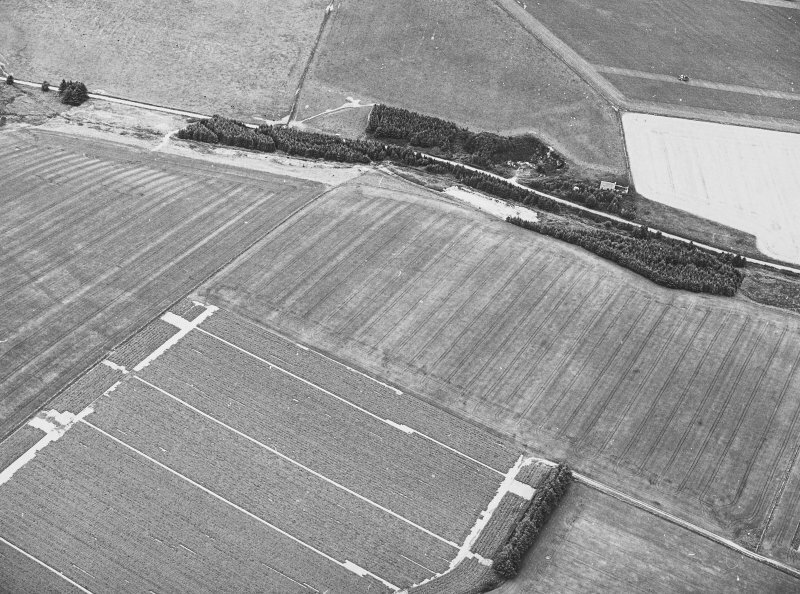 Ythan Wells Roman temporary camps. 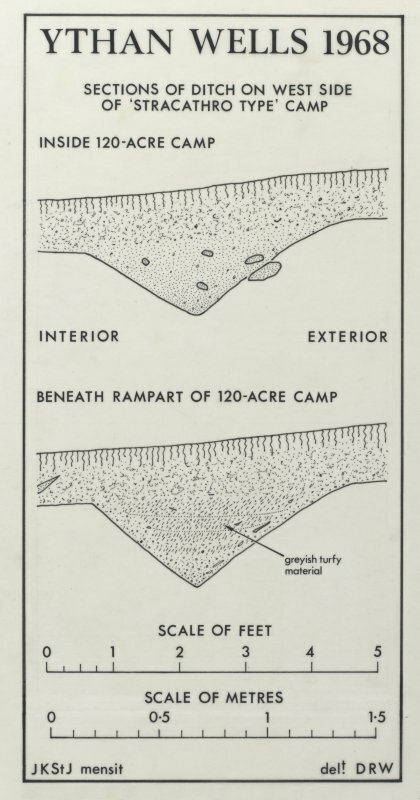 Sections of ditch on W side of Stracathro-type camp, inside 120-acre camp and beneath rampart of 120-acre camp. 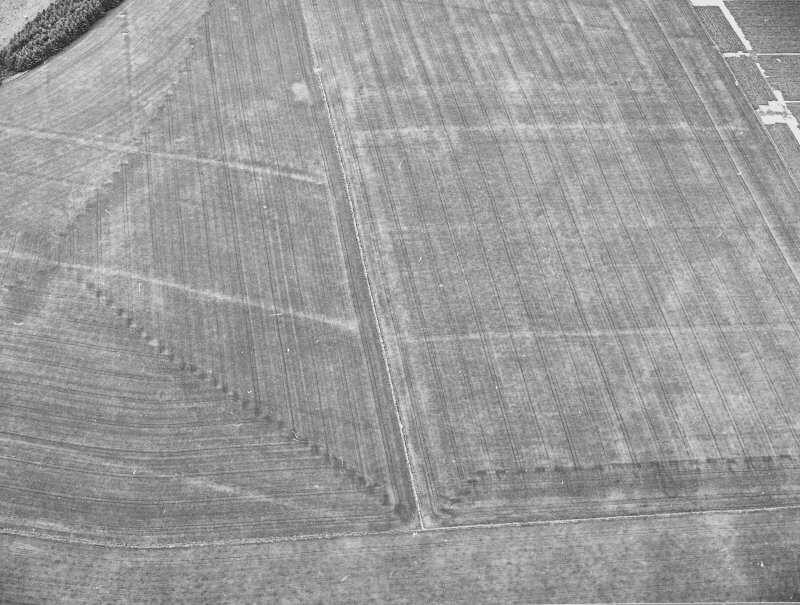 Aerial reconnaissance has recorded parts of three of the sides of this Roman temporary camp, situated in a field E of Glenmellan. 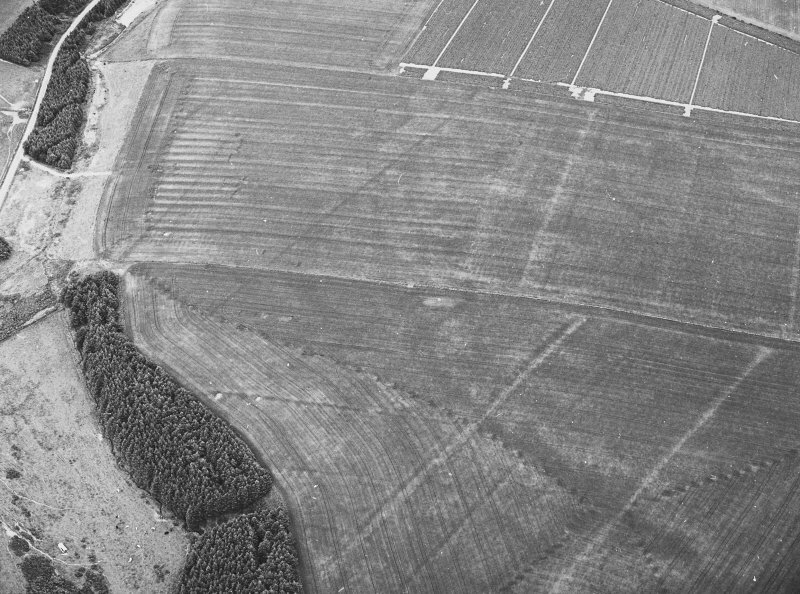 Two of the tituli are clearly visible as cropmarks in the NW and NE sides. 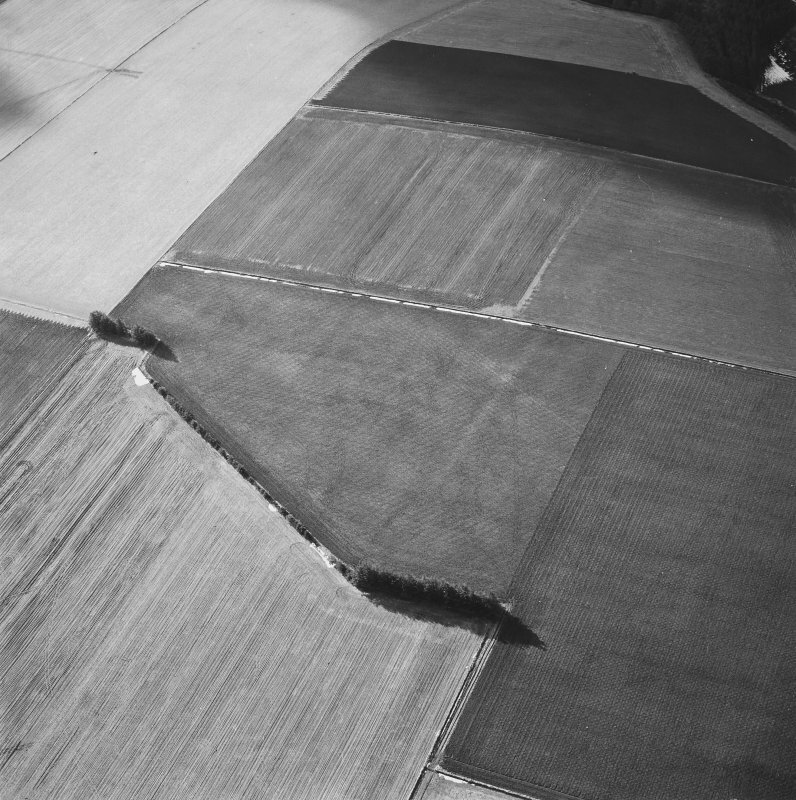 About 465m of the NW side, the whole of the NE side (525m), and 420m of the SE side are known, suggesting overall dimensions of at least 525m by 800m within a slightly irregular rectangular shape. 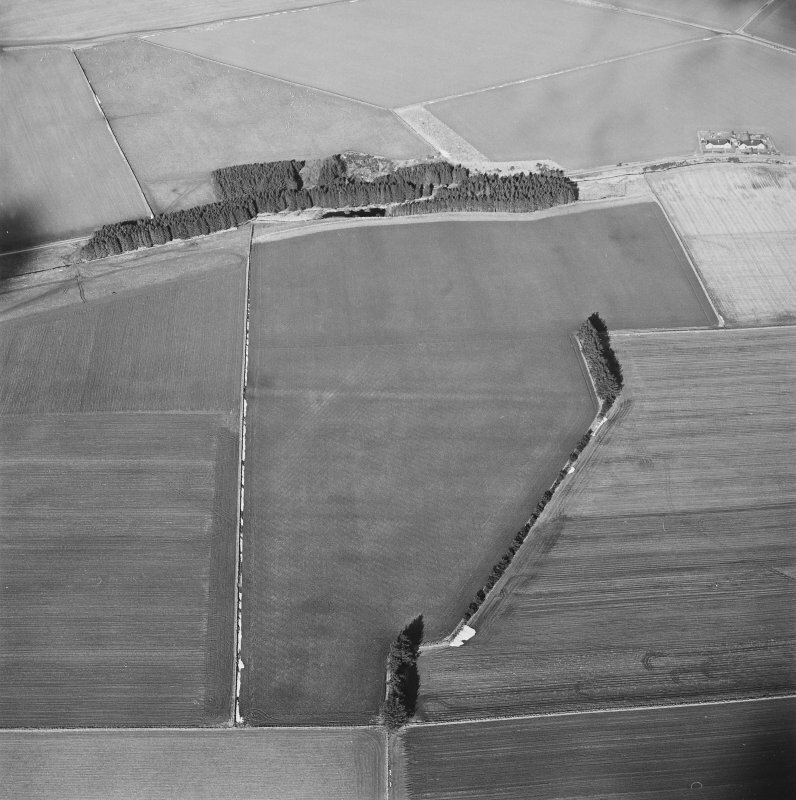 The camp is therefore at least 42 hectares (104 acres) in size, based on the transcription of aerial photographs. 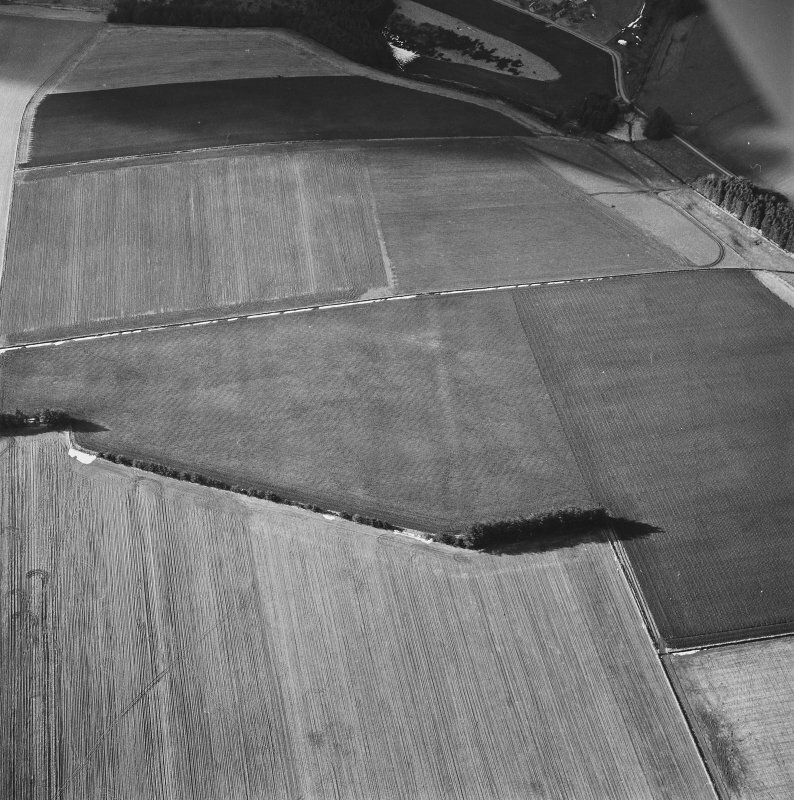 Information from RCAHMS (RHM), 21 April 1998.